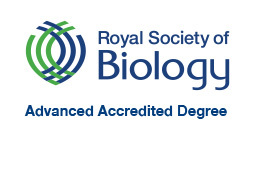 Biological Sciences at the University of Leeds, is an interdisciplinary degree and brings together subjects including molecular genetics, biochemistry, microbiology and cell biology, giving you the knowledge and skills vital in battling global challenges such as cancer, infectious diseases, ageing and food security. Develop both broad and specialist knowledge, with access to the latest discoveries by research academics at Leeds and beyond. Core modules will equip you with an understanding of human disease genomics, genetic engineering, the mechanisms of disease and cell communication. Our integrated Masters offers you an additional year of specialist laboratory and research training which will help further prepare you for higher level study or employment as a professional scientist. As new techniques for studying and manipulating molecules and cells (e.g. cryo-electron microscopy and gene editing) are rapidly increasing our understanding of living organisms, this is a very exciting time to study an undergraduate degree in Biological Sciences. Specialise in one of four pathways: molecular medicine; infection and disease; genome biology and disease or plants and agriculture, after a broad first year. Practical work extensive hands-on experience in with practical labs and fieldwork. Research-led Advanced Topic modules in your final year cover specialist topics in cell and molecular biology which have an impact on societal issues sophisticated research and diagnostic techniques. Year 1 of this course is designed to give you a broad grounding in biosciences. This enables you to decide which theme to choose in Year 2. Year 1 covers an introduction to cell biology, biochemistry, microbiology, molecular physiology, genetics and immunology. This provides a broad understanding of life at the molecular and cellular level. You’ll also have the opportunity to select from a range of optional modules to broaden your studies. You’ll develop sound laboratory techniques for studying microorganisms and cellular components such as proteins and DNA through practical classes. You’ll develop your ability to analyse, interpret and present data, use scientific information to solve problems, and design experiments exploiting the techniques you have learnt in the laboratory. At the end of Year 1, there are opportunities to transfer between the Biological Sciences, Microbiology and Biology courses (including Genetics). In Year 2, you’ll continue to cover core topics in molecular and cellular biology, building on your learning in Year 1. You’ll study genomics and genetic engineering, and further explore cell structure and function, applying this knowledge to help you understand disease processes. In addition, one of the unique features of our courses is that you’ll choose one of the following four themes, this will allow you to focus your studies in an area of interest over the remaining years of your course. Molecular Medicine - focuses on the actions of molecules, both as therapeutic agents (drugs) and as toxic substances. Infection and Disease - concentrates on areas such as virology, parasitology and immunology. Molecular Zoology - combines studies of animal physiology and development with opportunities to learn about pests and parasites. Plants and Agriculture – focuses on plant physiology, sustainable food production, and the role of pests in agriculture. You’ll continue your skills development through Year 2. Practical classes will take the form of projects on topics relating to your lecture material in which you’ll integrate and extend the skills and techniques learnt during Year 1. Tutorials with a range of specialist tutors will develop your data analysis and interpretation skills, together with other skills such as researching new topics from the scientific literature. 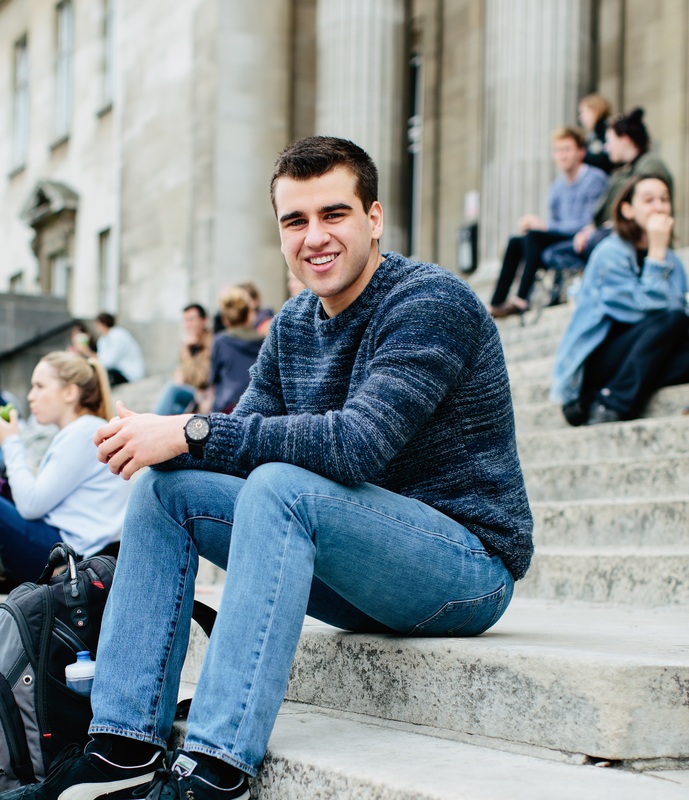 At the end of your second year you’ll have the option of taking a Study Year Abroad or Industrial Placement Year – a great way of enhancing your experience and your CV. In Year 3 your main focus will be on undertaking an independent research project, which can be laboratory, literature or computer based (eg bioinformatics, a sought-after skill for modern bioscientists), and completed under the supervision of one of our world class scientists. Alongside this you’ll continue to develop a broad range of skills through the subject-specific skills module, as well as study advanced topic modules for which you’ll be able to choose from a range of topics at the cutting-edge of research. With a greater focus on research, the MBiol will offer you research preparation modules in Year 3 as well as Masters level modules and an extended research project in your fourth year. In Year 3, you’ll undertake a practical project which aims to introduce you to increasingly sophisticated techniques and research facilities in preparation for your research project. You’ll also undertake a literature review of your proposed project area, with the support of your supervisor. Alongside this, you’ll undertake an advanced skills module and study current topics aligned with your choice of theme. In Year 4, you’ll spend approximately six months working on your research project in your supervisor’s laboratory, alongside a skills module which aims to prepare you for life as a professional scientist. Across all years, additional workshop and seminar sessions will complement your lectures and lab practicals, and you will undertake private study, supported by on-line resources. As a guide, a typical week in your first year includes eight to nine hours of lectures, six hours of practical sessions in the laboratory, tutorials, workshop and seminar sessions, plus private study. Advanced Higher: 5 x Highers AABBB, with AA in 2 Advanced Highers including Biology and another science or science-related subject. Critical Thinking and General Studies excluded. AAA-AAB including Biology and another science or science-related subject. Critical Thinking and General Studies excluded. Our graduates have, for many years, experienced high employment rates and a high proportion quickly gain employment upon graduation. With the expansion of the biosciences comes the generation of new and varied career opportunities. Some of our graduates go on to further study at Masters or PhD level. Other career routes include graduate medicine, dentistry, pharmaceutical and biotechnology industries, public health sector laboratories, university and government-funded institutes and health, medical, policymaking and government organisations.